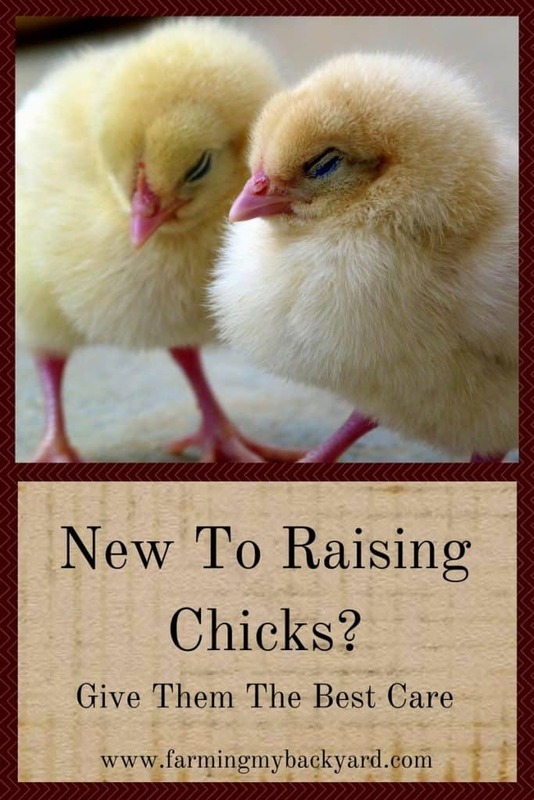 New To Raising Chicks? Give Them The Best Care. It didn’t take long after walking into the feed store just to look at the chicks before I fell in love with them. Those adorable fluff balls sealed the deal. If I had any doubts about getting chickens for the first time, they were all gone by the time I walked out with a box with three fluffy baby chickens. We don’t have any of that original flock left. They lived long lives in our backyard flock and now reside under various fruit trees. I still look forward to raising chicks in the spring, and while baby chickens do need some care and attention, it really isn’t difficult to successfully raise chicks in a brooder. Set your brooder up before you bring them home. 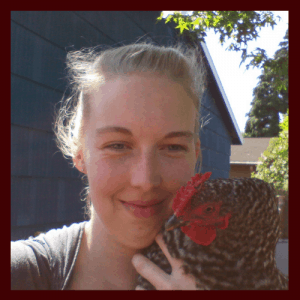 You don’t have to go out and buy a fancy or expensive brooder. If you have a small flock, a large plastic tub can be easily purchased and by adding a little hardware cloth can become an ideal chicken home. Click here for pictures on how to build your own chick brooder. Purchase your supplies before you bring home your chicks. Hang your heat lamp so that you can measure the temperature in your brooder before you put the chicks inside. It should be 90-95 degrees for the first week, and then reduce it by 5 degrees each week until they are fully feathered. For the first few weeks I like to keep my brooder box in the kitchen. The baby chickens haven’t started to smell yet, and it’s easy for me to keep a close eye on them. There are a few things you want to specifically note every time you check on them. First, check on where they are in the brooder. Are they huddled under the lamp? This means they are cold and you may need to lower your heat lamp. Are they all as far away from the light as they can get? They’re probably hot. Raise that lamp up a bit! Second, are they eating, drinking, walking around, taking naps, generally acting like tiny chickens that get tired frequently? Good. If they aren’t doing those things, it’s possible they are sick. The most likely culprit would be pasting up. Once a day check their vents for dried stuck on poop (pasting up). If there’s any blocking the vent very, very carefully wipe it away with warm water and a soft cloth. Pasting up is the only way I’ve lost chicks, so now I’m diligent about it. Plus it’s good for the birds to be handled gently and frequently. Add plenty of fresh bedding so that your chicks are walking on a clean surface. It’s not necessary to dump and sanitize the brooder, and in fact, in the book The Small Scale Poultry Flock, Harvey Ussery shares that his chicks raised on deep litter do much better than chicks that are not. Clean out any droppings that have fallen into the food dish. Make sure there is always clean, fresh water. Sometimes raising the feeder and waterer up on a brick or other slightly raised surface can help them stay cleaner a little longer. Chickens can get bored even when they are babies, so give them something to do! Small roosts to hop on can be very entertaining. Another fun and cheap source of entertainment for chicks is to throw in some weeds for the gardens. Dandelions, root and all, are a good choice. The chicks will peck at the leaves and scratch through the dirt on the roots, and generally have a great time. It’s also fun to give them treats, such as scrambled eggs or chopped greens. Chicks will also enjoy some time outdoors. Just make sure you stay to supervise them the whole time, and set up some kind of perimeter. Just remember they are tiny and can slip through small cracks under fences and things like that! Chicks don’t stay baby chickens for very long. In just six weeks they are ready to move outside. And well before that they go through the awkward looking half-feathered stage. So enjoy them while they are tiny and adorable! Plan time just to sit and watch them or hold them, and you will have a more friendly laying flock once they reach maturity.